Rugged construction and smooth-rolling wheels. Dedicated to passionate vinyl pros who want to conveniently travel with their records from gig to gig, the Magma LP-Trolley 50 transport bag safely holds up to 50 12" vinyl records. 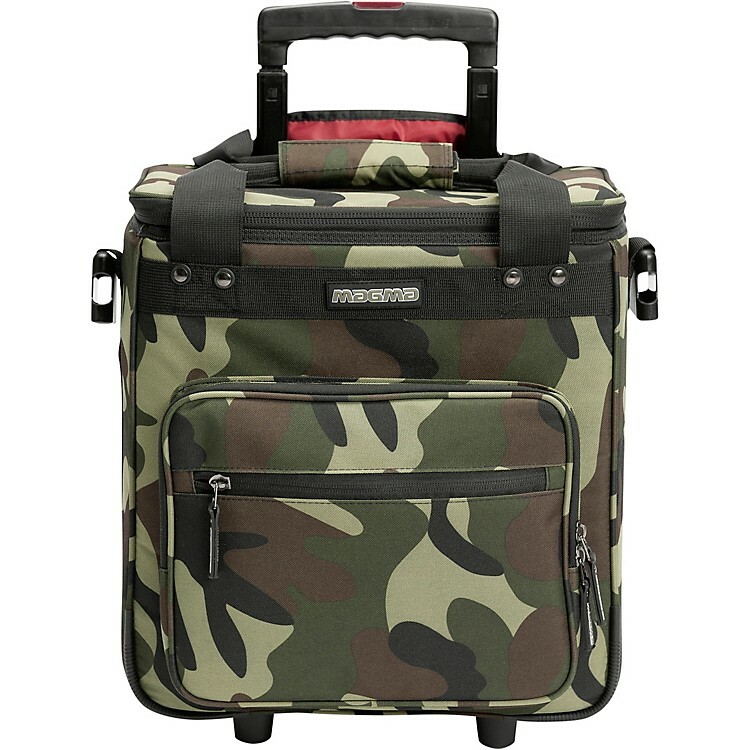 Crafted from high-grade material components such as the sturdy and stylish camouflage 1000D Polyester fabric, water-repellent zippers and smooth rolling precision inline wheels, the LP-Trolley 50 meets the permitted carry-on luggage size of almost every airline. The convenient and stylish way to transport your vinyl to gigs—order today.